Changes to UK Settlement Program Requirement! Visa candidates will have to encounter newly changed requirements for settlement in UK. The new changes will affect visa candidates of almost every category covering Tier 1 and Tier 2. Knowledge of language and life requirements is changed and will be effective from 6th April 2011. Now Candidates desiring for Settlement have to qualify the Life in the UK Test. The new changes will affect settlement candidates falling under visa categories such as Tier 1 which will cover General, Exceptional talent, Investors and Entrepreneurs; Tier 2 covering subcategories as General, Intra company transfer, Minister of religion and sportsperson. This will further affect work permit holders, highly skilled immigrants, representatives of an abroad business, abroad government employees, innovators, writers, composers and artists. Immigrants of these visa programs can no longer fulfill the KOL requirement by qualifying ESOL, except they are submitting for settlement under UK transitional arrangements. Skilled or highly skilled immigrants falling in one of those visa categories have an escape if they registered on ESOL course or acquired ESOL qualification before 23rd Nov 2010 then they are exempted from the new change. In this case candidates are eligible to apply for any applications for settlement, despite the date of application. But if you are enrolled for ESOL course at 23rd Nov 2010 or after that then they have to follow the new change. 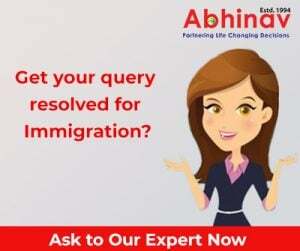 Applicants of settlement program can assess visa advisory services of Abhinav immigration to get detailed information of the new changes. We are serving UK visa candidates since 1994, possessing specialization over all popular visa categories of every country. Send your resume to ajay@abhinav.com for free assessment of your profile. Language Requirements for Principal Applicants- Skilled Migrant Category! Indian Government Set To Open Consulate General Office in Western Australia!